Today I’ll show you how I helped investors sidestep a “silent” payout cut in a popular closed-end fund (CEF). We’ll also look at how to approach this fan fave today—and how this tale can help us keep our nest eggs (and income!) safe. 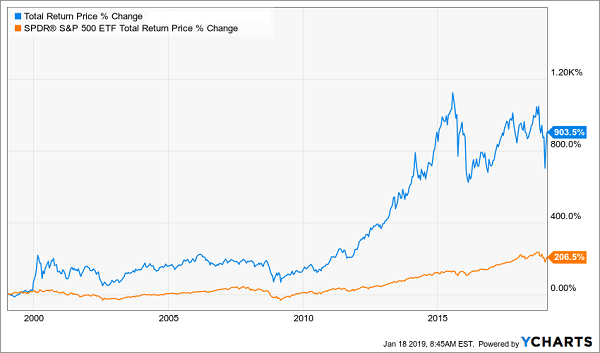 I’m talking about the PIMCO Dynamic Income Fund (PDI), which I flagged nearly two years ago, when it was at the height of its fame thanks to its outsized 9% dividend yield. 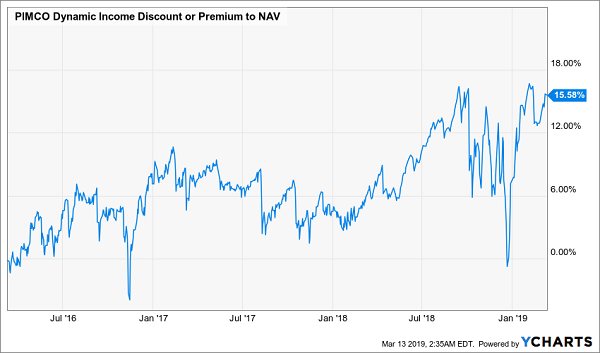 Even though first-level investors couldn’t get enough of PDI, I fired off a warning flare, writing that its massive 8.4% premium to net asset value (NAV, or the value of the corporate and government bonds and mortgage-backed securities it held) was under threat. I also tipped off readers that PDI’s year-end special dividends, which had been rolling out like clockwork, were about to take a serious hit. I was right on both counts. So let’s dive into what’s gone wrong with PDI. Along the way, we’ll tease out the three tips this tale gives us for picking healthy high-yield CEFs. Let’s start with payouts, because this is what folks who invest in funds like PDI really care about. 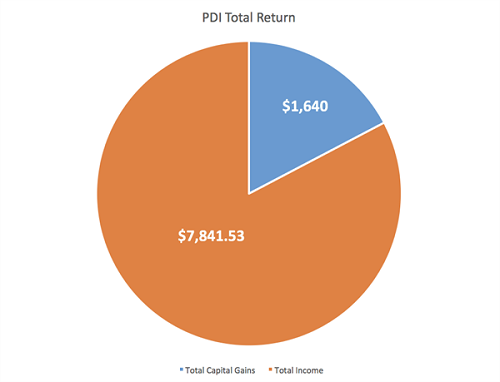 Before I wrote my article, PDI had delivered an amazing 94.8% total return over the five years since inception, with 83% of that from income; capital gains chipped in the rest. 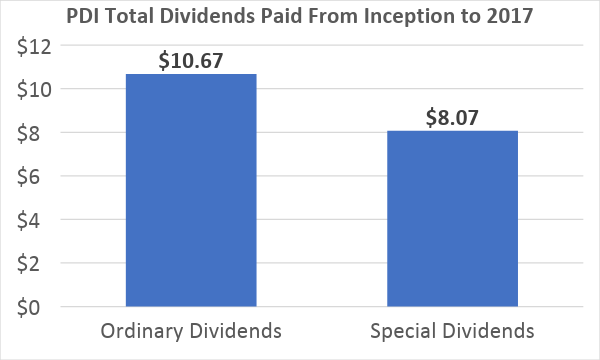 Since special dividends come out only once a year and ordinaries come out monthly, the fact that the specials accounted for nearly half of all payouts by the start of 2017 goes to show how critical they had become. And then the special dividend disappeared. In 2017, PDI marked its first year without a special dividend, after my warning in April of that year. And 2018’s special dividend, at 50 cents, was down 65.5% from two years earlier. So far, it looks like a similar payout may be in the cards for 2019, but it’s too early to be sure. PDI’s days of earning massive income for shareholders were clearly at an end in 2017, and they haven’t come back yet. As a result, the fund’s high premium from early 2017 should have disappeared. And, at least in the early days, it did. From the time I wrote in late April until the end of 2017, that 8.9% premium had fallen to 5%. Clearly, investors realized that PDI’s income potential had cratered. But look at early 2018: the premium started to creep back up. Fast-forward to today, and the premium has not only exceeded where it was in early 2017 but has shot to an all-time high! Despite the fund’s big drop in annualized dividend payouts, investors are hungrier than ever for it. 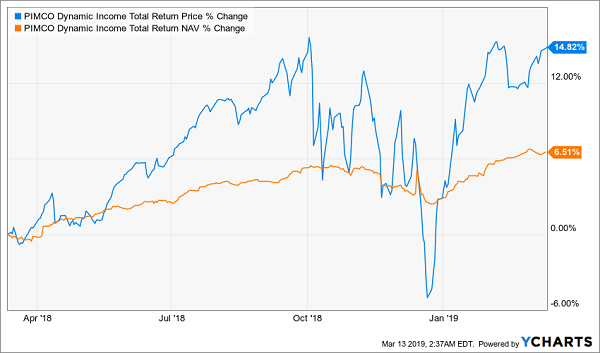 This is dangerous: the result is that the fund’s modest total-NAV returns are being dwarfed by its massive total-price returns, creating an overhang set to collapse at the first hint of more bad news. Finally, there’s reason to think that PDI’s shriveled special dividend is just the start of its shareholders’ income headaches. That’s because, with just a 6.5% return (factoring in dividends), PDI’s portfolio is underperforming its ordinary dividend payouts. Since PDI’s regular payout yields 8.3% annually, it will need to start eating away at its assets if it wants to keep its special payouts where they are now. Or it may choose to cut its ordinary dividend. 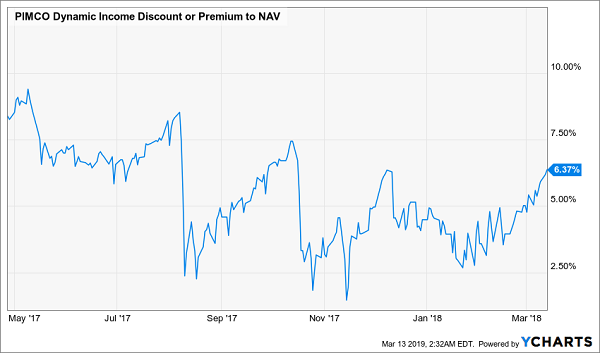 If you hold PDI, you need to keep a close eye on its NAV returns to see if there’s any spark of a recovery there, to a point where NAV gains would at least cover the dividend yield. If that fails to materialize, you could be looking at a crash, especially when management cuts the dividend (either the regular one or the special payout). With that in mind, if I held PDI, I’d sell it outright and wouldn’t even think of getting back in till that rebound started to kick in and its premium fell below 8%—near its historical average. We’re nowhere close to that. You know me: I’ve got a raft of CEFs (18 to be exact!) I see as the “anti-PDI.” These cash machines give you everything you need for a safe, well-funded retirement. Together, these 18 funds boast a hefty 7.1% dividend. Plus they’re set to hand you another 7% to 15% price gains—year in and year out, forever. So a $500,000 investment in my “average” fund would hand you $35,500 in dividend income this year alone, PLUS those 7% to 15% price gains I’m forecasting. So what are these funds? They’re the 18 CEFs in my CEF Insider service’s portfolio—and I’m ready to GIVE you instant access to all of them right now. All you have to do is “kick the tires” on CEF Insider today with no risk and no commitment whatsoever. And remember, that 7.1% dividend is just an average. One of these blockbuster funds yields an amazing 8.5%, while two others throw off a life-changing 9.8%! Better yet, many of these rock-solid CEFs pay dividends monthly—so there’s no more waiting three full months for your next payout! When you start your no-risk CEF Insider trial, you also receive a FREE Special Report revealing my top 5 CEF buys for 2019. These CEFs are the best of the best: your go-to picks for reliable income (average yield: 8.3%) and blockbuster upside: I’m forecasting 20%+ price gains in the next 12 months, thanks to the ridiculous discounts they’re trading at right now. 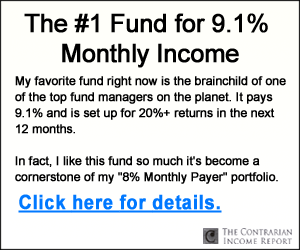 And with just a couple more clicks, the name of this fund, plus the 18 CEFs throwing off an amazing 7.1% dividend and my 5 best CEF buys can all be yours. Don’t miss out. 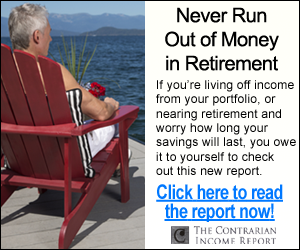 Click here to get your Special Report and full details—names, ticker symbols and my complete research—on this basket of 18 potent 7%+ income plays now!